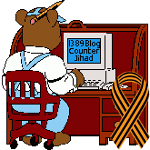 sloth — 1389 Blog - Counterjihad! WELFARE ABUSE: 32 years old Austin, TX welfare recipient says working is stupid. Serbs! Now is the time to proclaim the truth! Where did the “FAIL” Internet meme come from?